Neoplasia takes place when there is an abnormal cell growth rate. This occurs as a result of neoplasm, a type of abnormal growth of tissue mass. Due to the abnormal growth, the normal tissues around the healthy organ tissue practically become overshadowed. There are three main types of neoplasms. They are the benign tumors, pre-malignant tumors, and malignant tumors. Benign tumors are usually referred to as the “good tumors” - and there is a very good reason for that. These tumors only take affect in one organ or area of the body. This means that once they are surgically removed, the chances of the tumor growing back or causing further damage is reduced to a virtual zero. Examples of which are skin moles and uterine fibroids. Pre-malignant tumors, on the other hand, are neoplasms that can potentially be malignant. They only usually become malignant if not treated immediately or given time to progress. A good example is the Carcinoma In Situ. As for Malignant tumors, this is by far the most familiar to many people. The damage they inflict can speed very quickly and uncontrollably from tissue to tissue while slowly killing the organ it mainly affects. Malignant tumors are more popularly known as cancer. Neoplasms can cause a plethora of medical conditions that also need a variety of treatment plans for curative purposes. They can take place in any given part of the body and can also affect people of all ages. This refers to a neoplasm located in the lymph nodes. When this happens, the initial manifestation will be lymph node enlargement and/or swelling. They would originally appear as lumps or mass (usually painless at first) in either the armpits, groin, or neck. In addition, lymphoma patients tend to undergo idiopathic and quick weight loss in a time span of a year to 15 months. On and off febrile episodes may also be indicative of lymphoma since an increase in body temperature is a sign of infection. generalized body itching as a result of chemicals coming out of the lymphoma cells. Pertains to a neoplasm that originates within the epithelial tissues. As a result, there will be a presence of open sores or wounds of unexplainable origin which also heal at a very slow pace. These sores bleed or ooze both constantly and uncontrollably. white, red, or pink shiny bumps that appear as moles. This is where the body’s blood producing cells are the ones being attacked. High fever, abdominal pain, unexplained frequent bruising, body malaise, enlargement of various organs (liver, lymph nodes, and spleen), abrupt weight loss, and unusual bleeding are the symptoms to expect when suffering from leukemia. Connective tissues like bones and muscles are affected during this type of neoplasm. Unlike the first three types, this neoplasm is typically asymptomatic (no evident signs and symptoms) during its early stages. Only when the neoplasm increases dramatically increase in size will the symptoms start to become evident. This makes it all the more difficult to diagnose. What causes tumors to grow is usually considered by many as general knowledge. A lot of factors can cause it, such as excessive exposure to harmful chemicals and radiation, hormonal imbalances, genetics, and unhealthy lifestyle (poor diet and chain smoking). However, a lot of things regarding its existence is still up for debate. For instance, it remains unknown why otherwise normal cells could instantly become harmful neoplasms. There is an ongoing research regarding the exact cause of this matter. 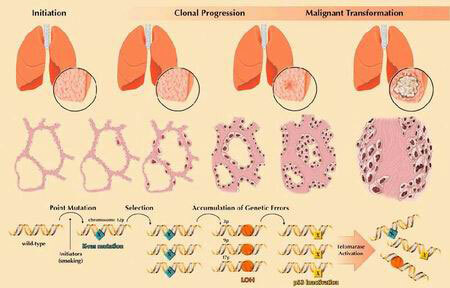 Contrary to other cells, neoplasms do not have the ability to differentiate their functions from others. They instead grow and multiply relentlessly while crowding out various organs, vessels, and tissues. Normally, cells are capable of regulating their amount inside the body. Neoplasms do not possess this quality. There are several different ways to diagnose various types of neoplasms. But the first procedure normally performed is a complete cephalocaudal (head to toe) physical examination. While doing this, the evidence of any neoplasm indications will be looked for. Among these are enlarged lymph nodes, hepatomegaly (liver enlargement), splenomegaly (spleen enlargement), and any abnormal lumps. The patient’s general health status and complete medical history will also be determined. All the terms and conditions involved as to what treatment approach will be used shall be entirely explained to the patient. The patient will then choose which is the best and most favorable and when the treatment will get underway. The three most common methods to treat neoplasm are chemotherapy, radiation therapy, and surgery. Of the three, chemotherapy is usually the one chosen to treat advanced type of cancers. It is also followed by radiation therapy in order to kill the cancerous cells that the it was not able to attack. Finally, surgery may be done to round out the basic treatment process of neoplasm. These procedures, even when done aggressively, will not guarantee cure for the disease. The best thing they guarantee is improving the condition’s prognosis and give relief to any life-threatening symptoms.